There has always been an increasing attention and interests in organic products. 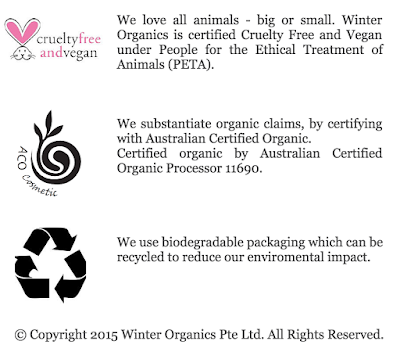 Organic food, organic products and especially organic skincare. Recently I was introduced to this organic brand - Winter Organics, and more specifically their Chamomile Facial Cleanser with gentle cleansing action. I gave it a try for the past week and I thought it was quite a good one to introduce to my readers. 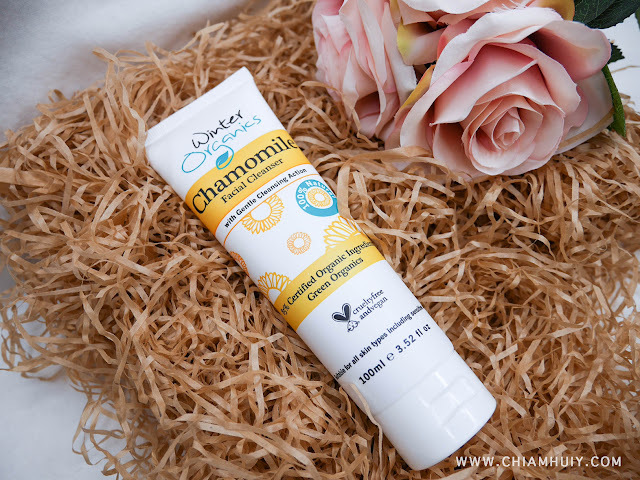 Have a read and discover this new organic brand with me! 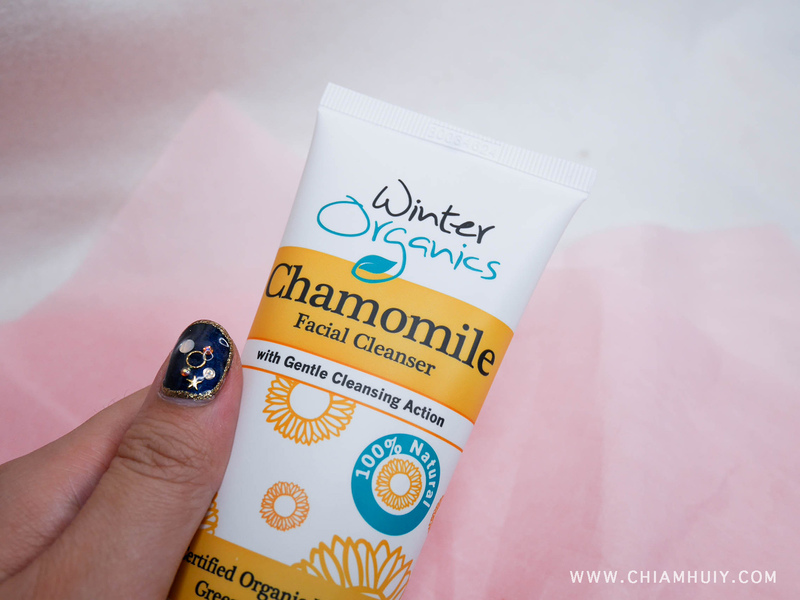 The Winter Organics Chamomile Facial Cleanser comes with a soothing scent of a natural flower blend. 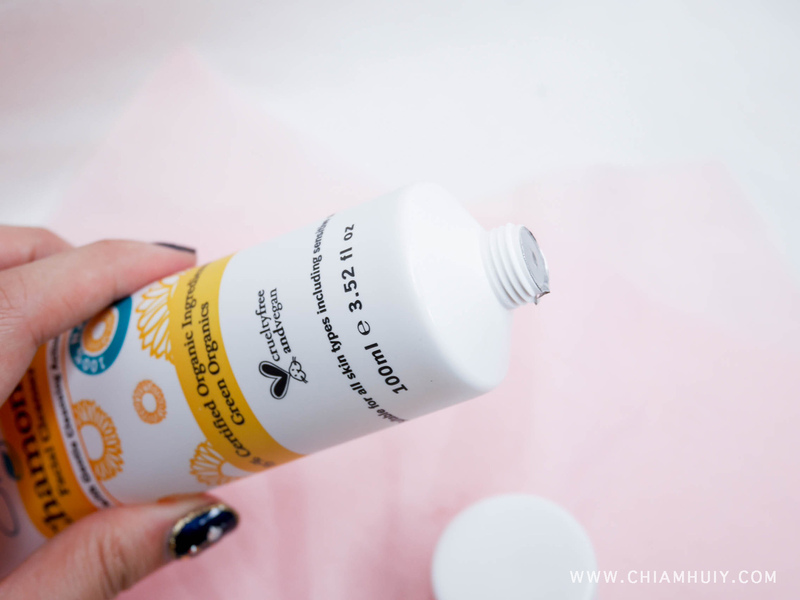 Containing key ingredients like chamomile, soothing aloe vera, sweet calendula, exotic ylang ylang, warm rosemary, and citrusy orange ingredients, take it as giving your sense of smell a pleasant treatment. 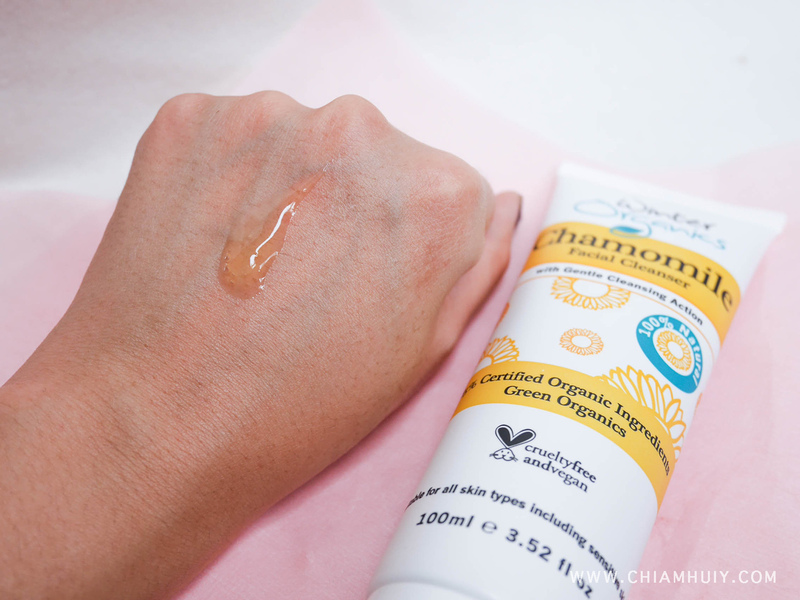 It also comes with a formulation of pH5, which is the best for all skin types including sensitive skin. It can even speed up acne healing with its anti-inflammatory properties, which is pretty much what I really need now. 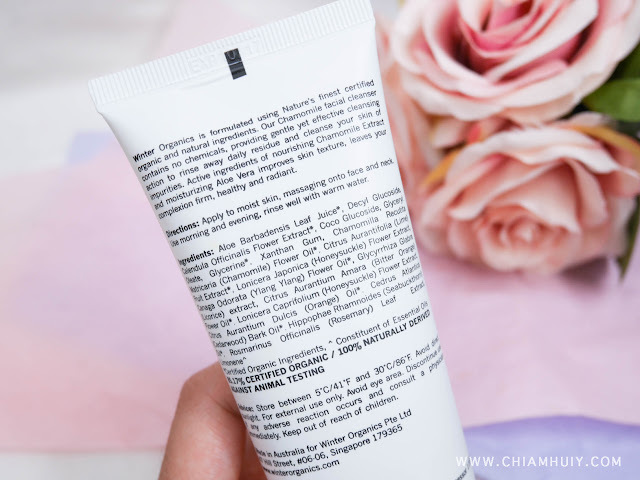 I find that this cleanser is really gentle on the skin. Lathers on quite well, and my skin feels clean after using this organic cleanser. 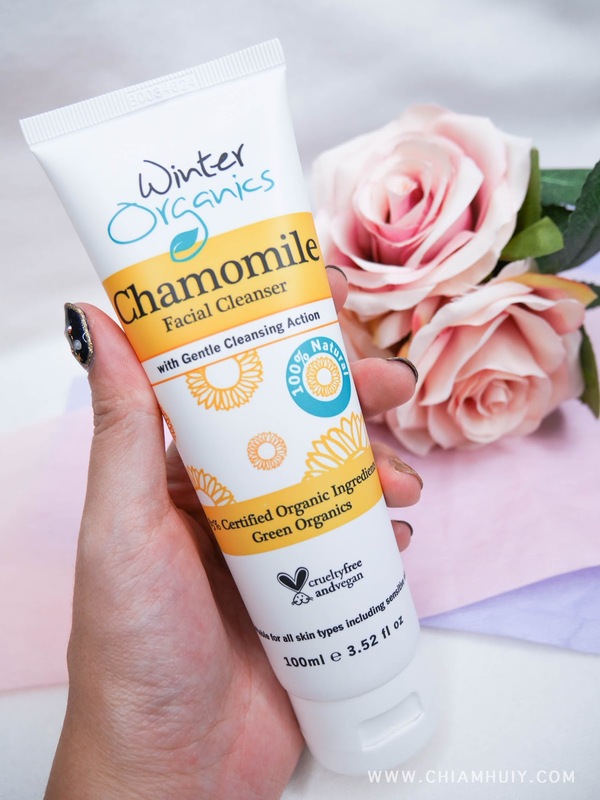 Some cleaners can be rather harsh because the irony is they overly cleanse, leaving your skin quite dry and tight after just one wash. Thankfully I don't face such an issue with Winter Organics Chamomile Facial Cleanser thanks to the organic ingredients found in it. After all, chemicals are really not encouraged for our skin! Give this organic cleanser a try! 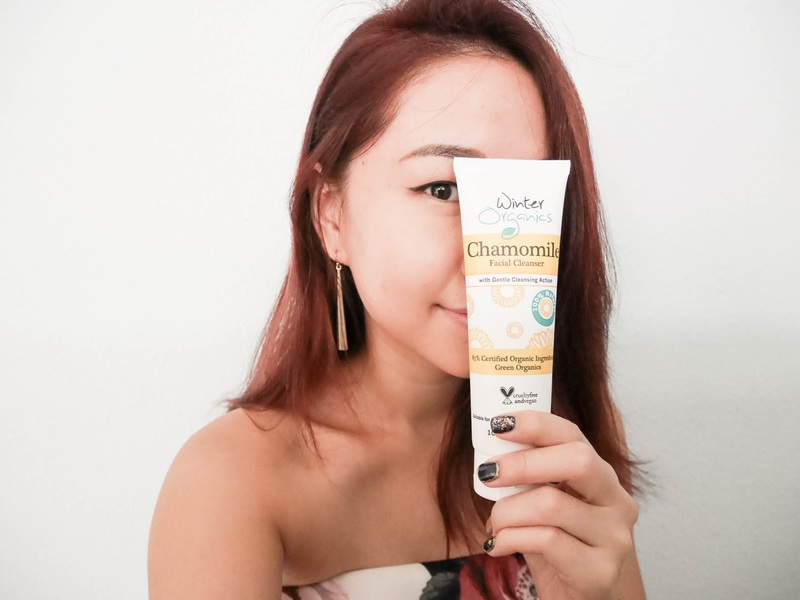 What I also like about this product is that it's organic, cruelty free and vegan. Not like I'm an extreme animal activist, but I would definitely refrain from any products that test on the poor animals. 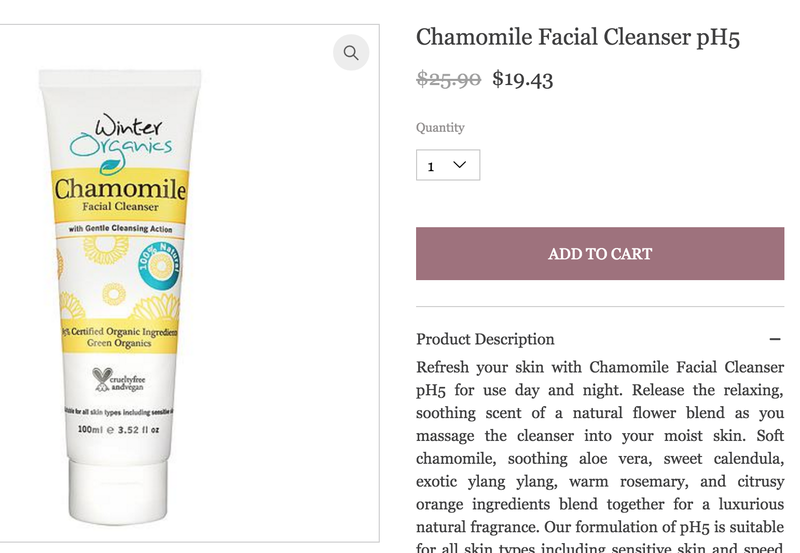 Besides, for an organic product like this to cost only $19.43 now, I think it's super duper affordable. It's usually priced at $25.90 but is going at 25% discount if you quote WINTERORG25 during checkout.